Israeli Prime Minister Benjamin Netanyahu on Friday condemned the killing of Saudi journalist Jamal Khashoggi, in his first comments on the affair, but stressed the need for stability in Saudi Arabia. "What happened in the Istanbul consulate was horrendous and it should be duly dealt with," Netanyahu told reporters during a visit to Bulgaria. "Yet the same time I say it, it is very important for the stability of the world, for the region and for the world, that Saudi Arabia remain stable. "I think that a way must be found to achieve both goals." Khashoggi, a critic of the Saudi regime, was murdered inside the kingdom’s consulate in Istanbul last month, and Turkish officials are still searching for his remains. 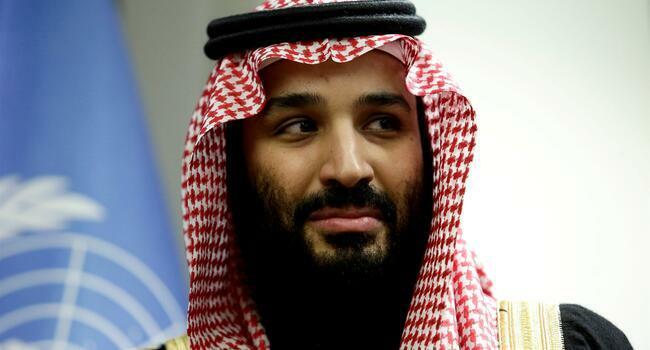 After at first denying the murder, Saudi officials eventually admitted he had been killed in the consulate, blaming a "rogue operation" and arresting 18 people. Riyadh’s international standing has been damaged by the affair and the Turkish authorities have made it clear they will keep investigating the matter. Israel and Saudi Arabia do not have diplomatic relations, but both nations have strong links with the United States -- and all three countries share a common enemy in Iran. "The larger problem is Iran and we have to make sure that Iran does not continue the malign activities that it has been doing over the last few weeks in Europe," said Netanyahu. Referring to what he said were two Iran-backed terrorist plots that Israel had helped foil in Europe, he added: "Blocking Iran is uttermost on our agenda for security, not merely for Israel but I believe for Europe and the world as well." Israel considers Iran to be the main threat to its safety and has backed the United States in its withdrawal from the 2015 nuclear deal with Tehran. Netanyahu also called on other countries to support US sanctions against Tehran. New US sanctions go into effect on Monday. He said sanctions so far had forced a marked decrease in the amounts Iran had devoted to "aggressive and terrorist" activities. Netanyahu was in the Bulgarian city of Varna to meet southern Balkans leaders at a regional summit.